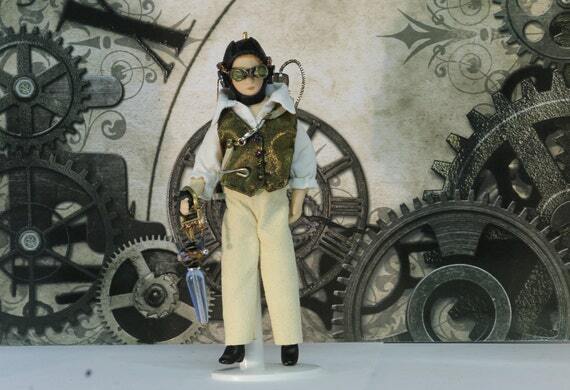 Henry Fotherscue and the Temporal Transformer – Steampunk – Shrunk! “Would you care to take some tea, Mr Fotherscue?” asked Alice, sweetly. “Darjeeling or Earl Grey?” she persisted. “Uh, the second one,” he responded as he unstrapped the heavy contraption from his back, placed it carefully on the floor and slumped into the richly upholstered chair she indicated. Delicately – Alice performed every act with delicacy – she poured the beverage and handed him his cup. She didn’t add that this service had only been required on a single occasion, and then only for approximately six minutes, when her uncle had needed someone to turn a wheel while he checked a mechanism from beneath. Normally he allowed no one near his workshop – not even to dust. Henry Fotherscue looked duly impressed. “It’s the Temporal Transformer,” Alice replied, in as casual a tone as she could manage. As luck would have it, she had been eavesdropping from the drawing room on the day Henry had first collected it from her uncle, and had overheard a good part of their conversation. “Elephant?” Alice enquired, with a slight gasp. ‘So do I,’ thought Alice, grimly. She wouldn’t have wanted to be in young Henry’s shoes if her uncle’s prize invention had been ruined. 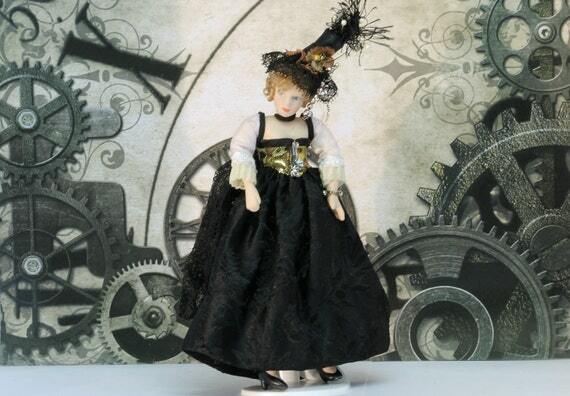 If you would like to become better acquainted with Henry and the Temporal Transformer, they are on view at the Steampunk Dolls House Shop. As for Ambrose – the inventor of the machine – he, too, is available there to admire, or purchase.